Nowadays, e-commerce became a really competitive business. An online seller can stand out from the crowd, only if they manage to sell themselves better. The way to do this is by gaining 10 main competitive advantages. That’s right, it only takes 10 perfectly completed tasks, and you do not have to worry about upcoming orders ever again. In this article, you will find all e-commerce tips which will actually help you to become a better online seller. First of all your main focus should be on your customer service. Most likely you already know why, but just to be sure - it maintains your good reputation. E-commerce business trust is based on comments, feedback and positive responses. All these components come from your happy customers. Try to put your customer on a pedestal. You can always ask for feedback, write a “thank you” note, or even make an additional phone call to make sure that your customers are happy with their new product. Another one of the greatest e-commerce tips is to make sure that your client is notified about shipping time. The biggest risk for an online seller is to cause a late shipment. That will definitely force your client to leave a bad review. The way for avoiding this is to choose the best shipping companies and accelerate your business. 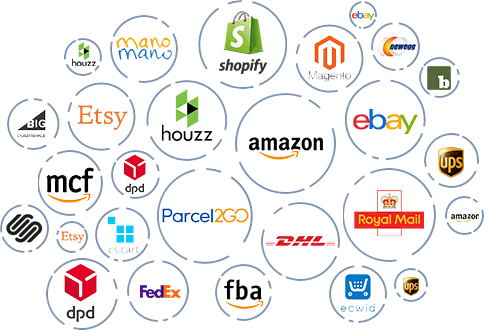 Using a management software Multiorders gives you an access to all of the most popular shipping carriers. 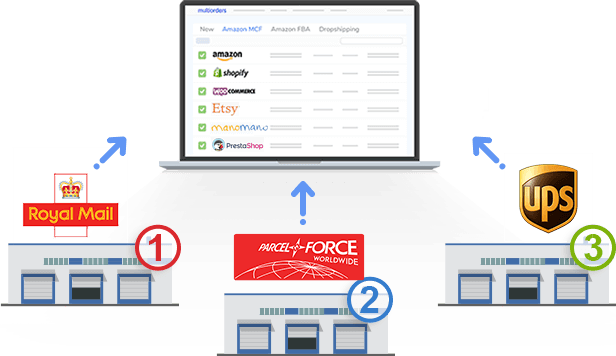 Integrating your sales channels allows you to ship any order by simply clicking on a chosen shipping carrier. Best shipping quotes and convenient quality! Through all e-commerce existence, there are created many sales channels. So, choosing a marketplace could be a hard decision to make. Of course, the best solution is to sell in the most popular ones. Moreover, you can easily work with a few different platforms at the same time. 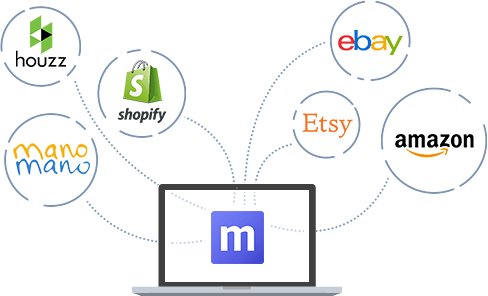 Multiorders has integrations with all sales channels and allows you to control them through an adjustable inventory management system. In this manner, you can change your stock-list, pricing or product description and it instantly appears in each marketplace. Also, you can make those changes in bulk, without switching from one product to another. One of the best e-commerce tips is to avoid time-consuming tasks and automate your business. There are plenty of solutions how to offload “copypaste” tasks, but the most cost-efficient way is Multiorders software. Automatically mark your order as dispatched on all platforms with updated tracking numbers. Because of the multiple integrations, the system automatically adds tracking information to each marketplace and additionally informs the customer. That way, an online seller won’t need to check and update any shipping information. Also, you are allowed to printing labels in bulk. It is important to be a visible online seller. In other words, let people know about your selling goods and services. In order to do that, pay attention to your marketing strategy. Do not start keeping your first profit to yourself, reinvest money in ads and marketing. That way you will gain even more profit. Think and try different marketing strategies on each sales channel, to know which works best for you. To get a bigger reach you need to expand your business. Try to sell in other contents, and cover more countries. In this manner, you will attract even more customers. One way to do it is with a Multiorders software. Our software has integrations with all shipping carriers and all sales channels, to help you sell all around the world. Best shipping quotes for shipping it in UK, USA, etc. The fact is that shoppers like to read success stories, comments and reviews. To highlight all your successful sales stories, do not forget to ask customers photos (if it is possible - how they use your item, where they place it). Also, always ask for feedback. These actions will maintain your online store’s testimonial and help you to gain more trust from shoppers. 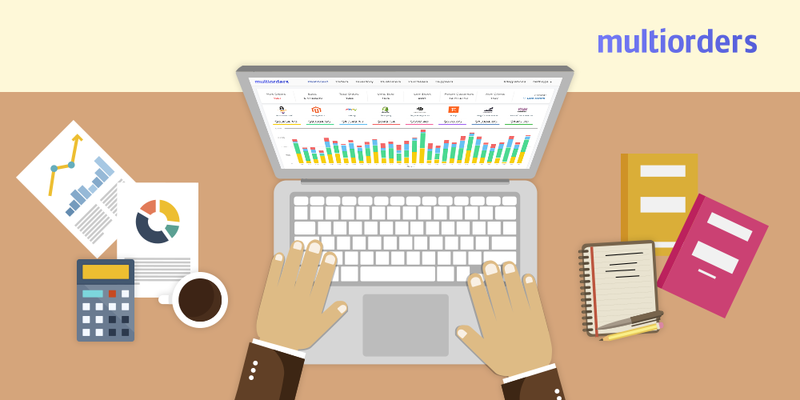 As mentioned before, a cost-effective way to accelerate your business is to use a management software. If you never tried it, then you should know that you still got your free trials. Test third party help without being charged! Multiorders offers a free trial, which helps you evaluate and estimate the value of our software. It is free to use until you achieve 100 fulfilled orders. Try out Multiorders and see how it benefits your business. One of the most important e-commerce tips is to have well-defined goals. Not to mention, that achieving them will be way easier with a management software help - Multiorders. Adjustable inventory, all shipping carriers and auto-synced data will fulfil your orders within a few clicks. 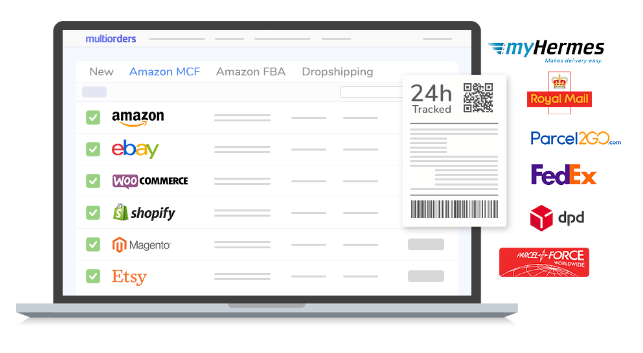 Connect different sales channels and proceed orders three times faster! 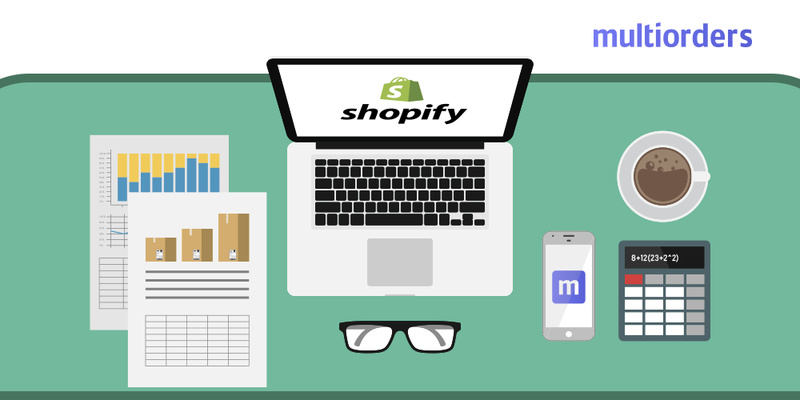 SOLUTION: How To Synchronise Shopify and Ebay?